Check out a newly published paper "The role of international trade in managing food security risks from climate change" to learn about the exciting research work empowered by the AgMIP Data Aggregator tool! 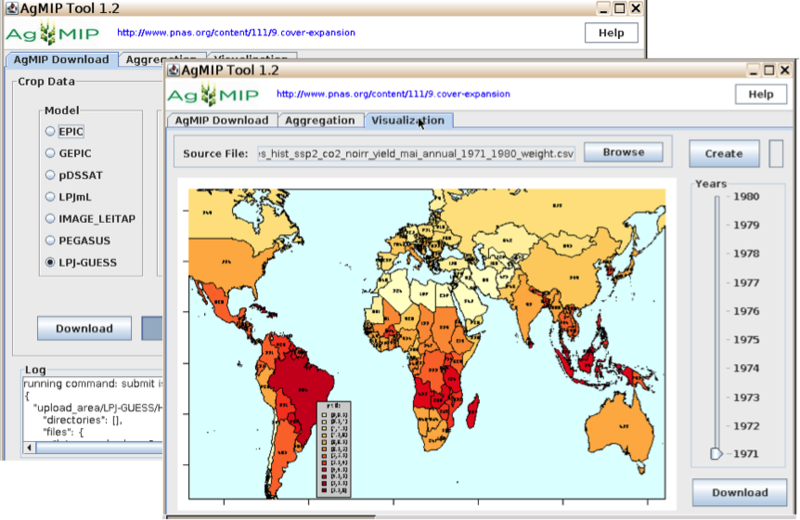 The AgMIP data aggregator provides a graphical user interface for any user to select, aggregate, visualize and download data from the AgMIP Global Gridded Crop Model Inercomparison output archive of time series 1971-2099. This dataset covers crop growing area and irrigated fraction for 21 crops in Kharif, Rabi and Zaid seasons for India around year 2005 in 500 m spatial resolution. It was published by the GEOSHARE pilot project with doi:10.13019/M2CC71. This global dataset includes the extent of area equipped for irrigation (AEI) for 1900 to 2005 in 5 arc-minute resolution. The group developed eight gridded versions of time series of AEI by combining subnational irrigation statistics with different data sets on the historical extent of cropland and pasture. Geoshare facilitates remote collaboration for improving geospatial data. Try iData, and learn how to upload, share, process and archive raster and vector data-sets. Researchers can upload and share their scientific tools to share within the community. 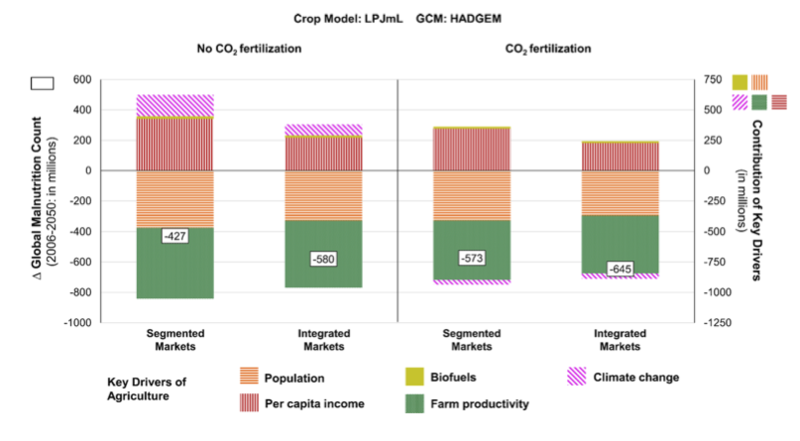 Try AgMIP: a tool for aggregating global gridded crop Model output and Pegasus: a global crop model. Click the launch button, and start computing. Build your own tool in your favoraite coding language in our DIY area to use your own tools on Geoshare.